Of all the changes coming to your desktop with Windows 10, one of the most radical is that Microsoft will no longer let you pick and choose updates to download and install. Instead, when an update is ready for download it will get pulled down to your PC and automatically installed. There are half-solutions you can use to make this situation more palatable, but for the most part you’re pretty much stuck with whatever Microsoft dishes out via Windows Update. Or at least that’s what we thought until a Microsoft troubleshooter built for the Windows 10 Insider Preview popped up. 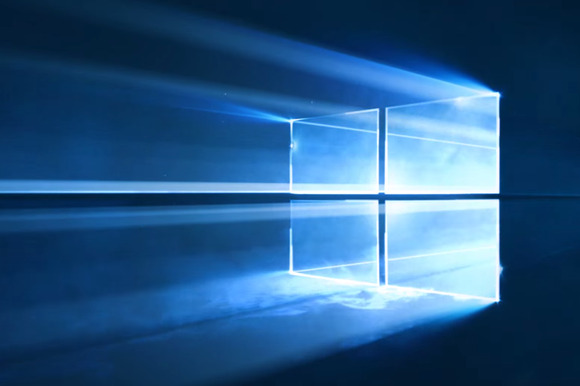 This simple utility was designed to help you rollback updates for Windows or hardware drivers that mess up your system, and then block (Microsoft says “hide”) those bad updates from downloading again, as ZDNet first reported. It’s not clear if the troubleshooter will continue to work with stable versions of Windows 10 that roll out on Wednesday. Based on tests with Windows 10’s “RTM” version (a.k.a build 10240) it appeared to work just fine. This should look familiar to anyone who’s managed Windows Update. 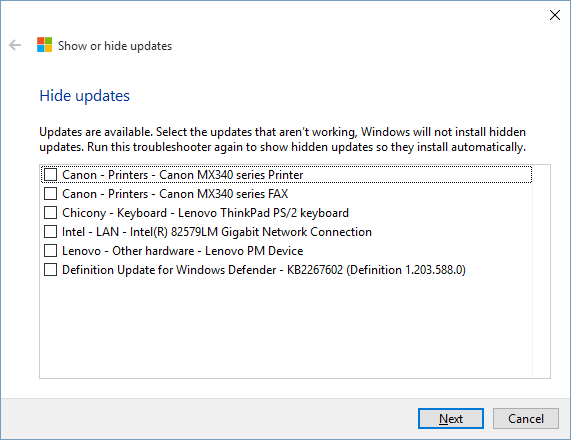 To start, download the “Show or hide updates” troubleshooter from Microsoft. Once it’s downloaded, fire it up and the program will start searching for available updates. When that’s done, click on Hide updates and you’ll get a checklist of updates for your system that you can block. Just remember that before you run the utility, you must first remove the troublesome update from your system by uninstalling it. Our colleagues at InfoWorld also report that after uninstalling an update you shouldn’t reboot your system until after you’ve run the troubleshooter utility. Microsoft’s support article has more details on prepping your system for running the troubleshooter. The impact on you at home: Microsoft’s troubleshooter is not the same as manually de-selecting an update the way you could in previous versions of Windows. This is more of an after the fact fix. Nevertheless, it’s better than nothing for those who care about controlling what’s on their PCs. For power users and home IT support types, this is a handy utility to cart around on a USB key or keep stashed in a folder for those times you need it. Hopefully Microsoft will keep it around.